An exciting update has launched in AdLuge! Introducing: the Page Report! The Page Report is a complete overhaul of our previous “Google Analytics” section. 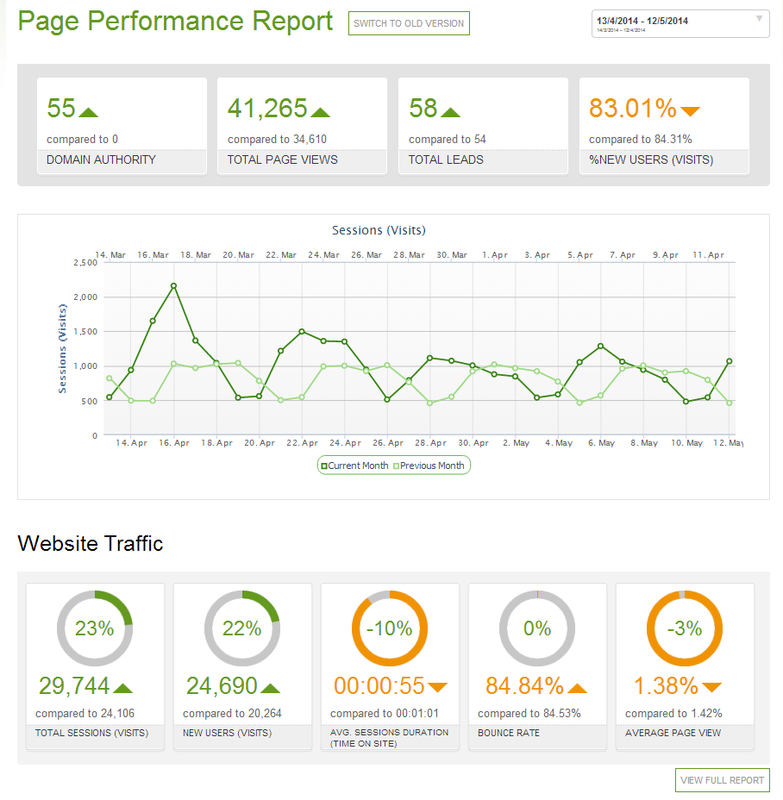 The new Page Report provides more data, quicker, and easier. We have added some additional Key Performance Indicators (KPI’s) like Domain Authority via Moz, and an overview of your top performing traffic and conversion pages. Each section can be clicked through to view in full detail. Date range comparison makes it easy to demonstrate progress over time, or compare one date range to another. Not to worry, you can still switch to the old version by clicking through at the top of the report!